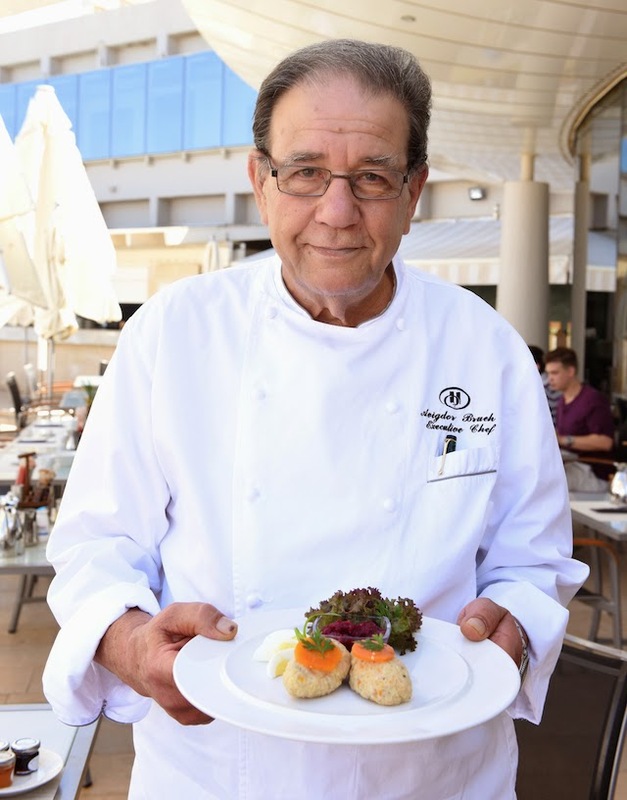 Nearly 70 years old, Avigdor Brueh, the executive chef at the Hilton Tel Aviv, orchestrates a gigantic kitchen, which serves hundreds, flawlessly, year-round. During Rosh Hashanah the Hilton, with its many regulars—some who have come for the last 30 years—and new guests alike, serves approximately 500 guests at table service. Brueh says that during Sukkot and Passover the numbers double, with 500 guests in the grand ballroom and hundreds of smaller Seders to cater to throughout the hotel facility and grounds. The Rosh HaShanah menu changes annually but the keepers every year are chicken soup with noodles or matzo balls, chopped chicken liver and gefilte fish. 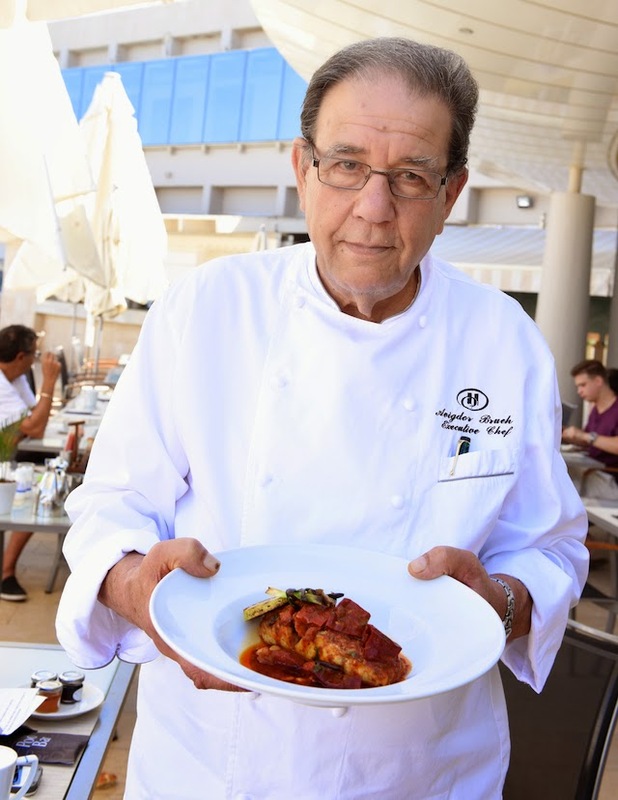 At my request, Avigdor Brueh kindly shared his recipe for spicy Moroccan fish. 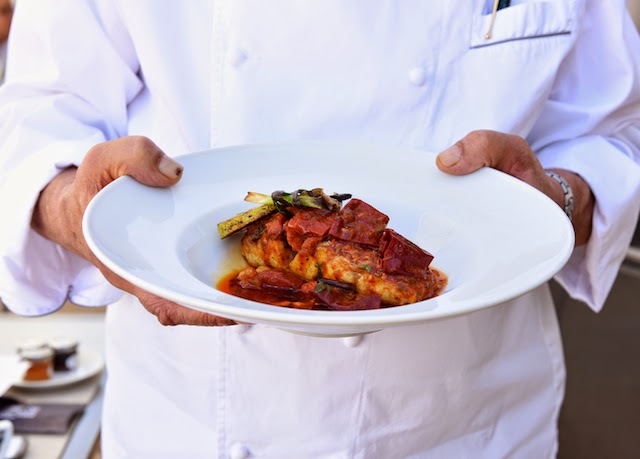 The spicy Moroccan fish is made for Rosh HaShanah in Moroccan Jewish homes, but isn't served at the Hilton on the chag. It is a very popular dish, Brueh adds, at events such as Bar Mitzvahs. To read the rest of the article 'Behind the Scenes, Ahead of the Curve,' with some fascinating personal and historical details, head over to Jewish Food Experience where I contribute monthly. 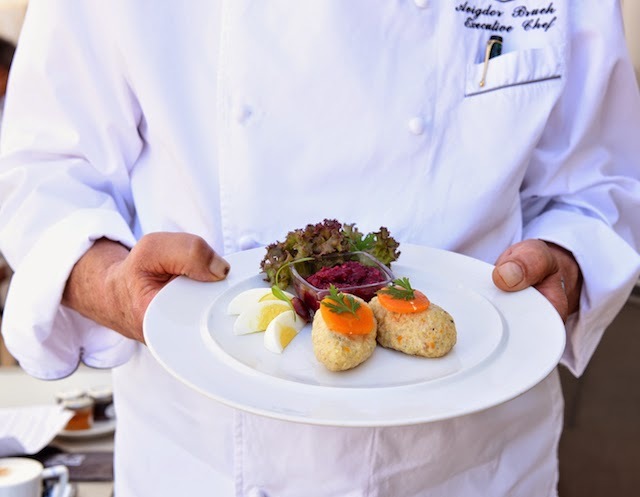 While there check out Classic Gefilte Fish and Spicy Moroccan Fish recipes by Avigdor Brueh, Executive Chef, Hilton Tel Aviv, whether or not you celebrate Rosh HaShanah. Happy 5775 to all my friends and readers! Great food! Have a wonderful Rosh Hashanah. Have a great Rosh HaShanah!!! The menu sounds wonderful. Have a wonderful Rosh Hashannah. That fish looks delicious! Have a great holiday! This looks delicious! Have a great holiday! This looks amazing! Have a wonderful holiday. My friend makes such yummy matzo balls, we laugh and call them sinkers but they taste so good! This looks delicious! Have a wonderful holiday! What beautiful recipes! I was familiar with gefilte fish, but not the spicy Moroccan fish. What a delicious sounding dish! I have it on my to-try list for the future. Lovely - I really want to try that dish! Have a wonderful Rosh Hashanah! Oh, yum - This fish looks delicious, as do all these dishes!! Have a wonderful Rosh Hashanah! Beautiful recipe. Happy Rosh Hashanah! Have a great Rosh Hashanah! These dishes look great!